Oakley Typhoon Cap. Model: Typhoon. 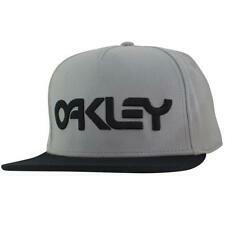 Embroidered Oakley logo. Colour: Grey Marle. Size Guide. 96% Polyester, 4% Elastane. NEW ARRIVALS. HUGO BOSS BASEBALL CAP. Embroided - Large Hugo Boss on the front of cap. Colour Black. High Quality Design Cap. No matter whether you wear it for sports or other leisure activities, this cap will always. New Era 9Forty Oakland Raiders League Essential Adjustable Cap. Midnight Camo with the Oakland Raiders front logo,the N ew Era side logo, and the Grey visor underside. Pattern Camouflage. 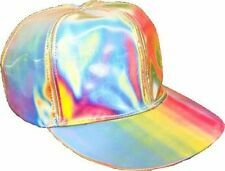 Style Baseball Cap. Australian 18 Footers, Double Bay Sailing Club Navy Baseball Cap Hat Adjustable. Condition is New Without Tags. Sent with Australia Post Pre-Paid Parcel Post Satchel 500g. You can also find Firkin Cellars Barware for up to date information and specials at. Reproduced in every detail, this one-size-fits-all replica cap features ultra-refractive fabrics, Velcro closures, and enough 21st century tech to erase more than a photograph! More than two decades after the first movie's release, the Back to the Future trilogy remains a favourite among viewers of all ages. Brim is Ballbrim faux leather as well as the strap. Chicago Bulls Adidas Originals NBA Cap. Front - Traditional Bulls logo. Back - ADIDAS logo. Left side panel - NBA logo. Embroidered LA Dodgers logo on front. Embroidered NewEra logo on side of Cap. LA Dodgers label on back. Adjustable back fastening. 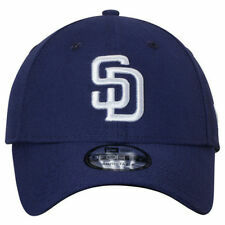 Classic MLB Strapback Hat. High Profile, Snake skin Visor Trucker. 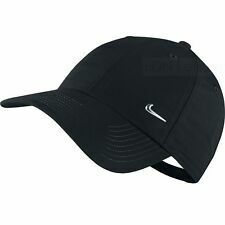 Material: 100% polyester / 100% P.U visor. MLB Authenticity Sticker Under the Brim. Green Colorway Underneath Brim of Hat. The designs were inspired by hip-hop, skate and graffiti subcultures. High Profile, Paisley Under Visor Cap. Grey Colorway Underneath Brim of Hat. Classic MLB Snapback Hat. Raised Embroidered Front Logo. Material: 100% Polyester. Most orders will Require adult signature. Embroidered Jacksonville Jaguars logo on front. Embroidered New Era logo on side. Velcro fastening with Jacksonville Jaguars name logo. 6 panel. 9Forty fit. Style Baseball Cap. £1.00 for Germany, Ireland, USA, Canada, and Australia. Pattern Solid. MPN does not apply. EAN 3700334697088. Finest quality hat with 3D NY Yankees logo embroidered to front. Authentic New Era Woodland Camo cap. Pattern Camouflage. One size fits most with adjustable adjustable buckle strap back. From the official "The League" range by New Era. 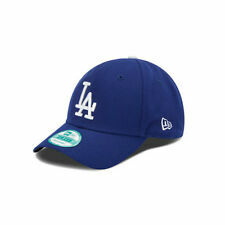 Embroidered Los Angeles Dodgers logo on front. Embroidered New Era logo on side. Adjustable back strap with metal fastener. Allover diamond fabric. This is a New Era9Forty New York Yankees Adjustable Strapback Cap. This New Era strapback cap is made from 100% Polyester. Strapback Cap. Colour: Optic White. Style: MLB New York Yankees. Main Colour Optic White. MFH US Style Baseball Cap. Manufacturer: MFH. Urban Camo. Fully adjustable plastic band to fit all head sizes. Material: 65% Polyester, 35% Cotton. Ventilation holes to keep head cool. You are also entitled to have the goods repaired or replaced if the goods fail to be of acceptable quality and the failure does not amount to a major failure. Trending at AU $39.05eBay determines this price through a machine-learned model of the product's sale prices within the last 90 days. Mitchell & Ness NBA New Orleans Pelicans Leather Strapback Hat. High Profile, leather strapback hat. Classic NBA Strapback Hat. NBA Authenticity Sticker Under the Brim. Grey Colorway Underneath Brim of Hat. New Era 9Forty San Francisco Giants The League Adjustable Baseball Cap.Black with the Giants front logo,the N ew Era side logo, and the Giants rea r strap logo. Style Baseball Cap. (See below). Air Jordan Wings Cap White/black.